1. Are most wine critics impartial judges of quality, or are they really serving as public-relations advocates on behalf of producers? With evidence from?my own empirical work, expository journalism, and a survey of the industry, I argue that most wine critics are really in the business of advertising wine, not judging it impartially. Critics are for sale. 3. My research indicating that wine experts don’t prefer expensive wine to cheap wine by a significant margin in blind tastings:?In a year-long series of blind tastings that I conducted with wine experts and non-experts from the US, France, and other countries, my colleagues and I poured more than 6,000 glasses of wine from brown-bagged bottles that cost from $1.50 to $150. On the whole, our tasters actually preferred the cheaper wines to the more expensive wines—by a statistically significant margin. Even among the wine experts alone, there was only a weakly positive correlation between price and preference—one that didn’t rise to the level of statistical significance. 4. Blind tasting and what I call the “wine placebo effect”:?No scientific blind-tasting study of wine experts has ever shown expensive wines to do consistently well, or cheap wines to do consistently poorly. 5. “The taste of money”: I?believe that the sensory experience itself that changes when you know the wine is expensive.? 6. “The honest wine movement”: the way forward. 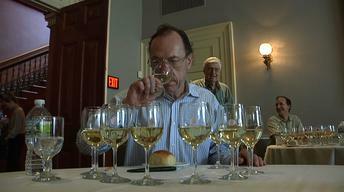 ?I advocate for a new approach to quantitative wine evaluation that’s based only on double-blind tasting. 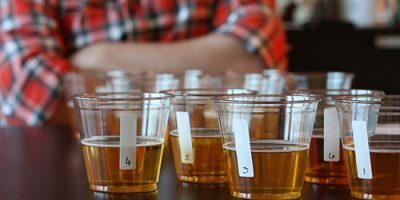 ?So-called “single-blind tasting,” in which tasters know the vintage and/or region (and thus general price range) but not the exact producer, is not enough.